INOXPA offers a wide range of agitators designed for work in sealed tanks intended for some sterile processes of the pharmaceutical industry. The agitators can be used under pressure, atmospheric pressure or vacuum. They can also be incorporated into fermenters. The most common applications are maintenance of plasma and cell cultures, preparation of various pharmaceutical formulations. The agitators are assembled off-centered, it prevents the rotation of the stirred product, thus, the installation of the current deflectors is avoided. The mechanical seal serves as barrier ensuring strerilisation, vacuum or pressure inside the tank. 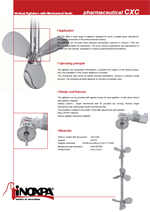 The operating principle depends on the type of propeller used. 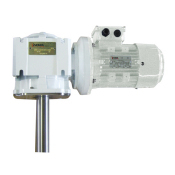 The agitators can be provided with geared motors for slow agitation or with direct drive if high speed is required. Sealing options: single mechanical seal for possible dry running, flushed single mechanical seal, pressurised double mechanical seal. 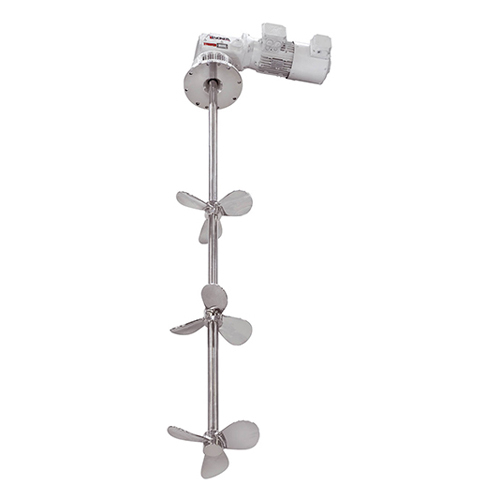 The propeller is welded to the shaft or fixed with special hubs with gaskets. Mechanical seals: various materials and configurations. Variuos levels of motor protection. Résumé Inoxpa dispone de una amplia gama de agitadores para trabajar en depósitos estancos para procesos estériles en la industria farmacéutica . 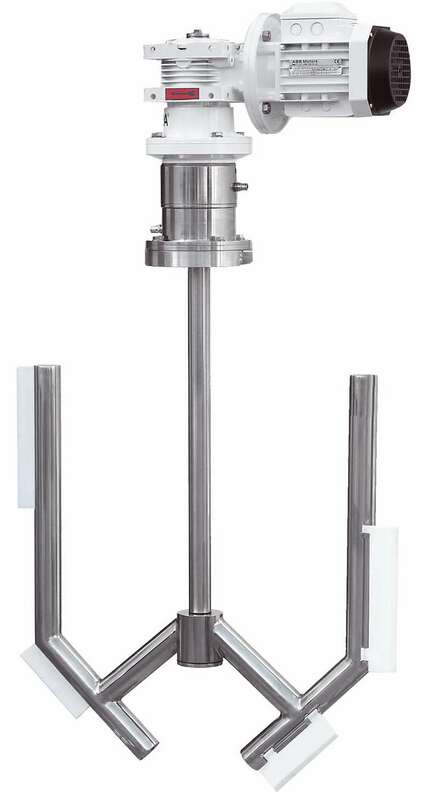 Résumé INOXPA offers a wide range of agitators designed for work in sealed tanks intended for some sterile processes of the pharmaceutical industry. Résumé INOXPA предлагает широкую гамму мешалок, предназначенных для работы в герметичных резервуарах, для стерильных процессов фармацевтической промышленности.